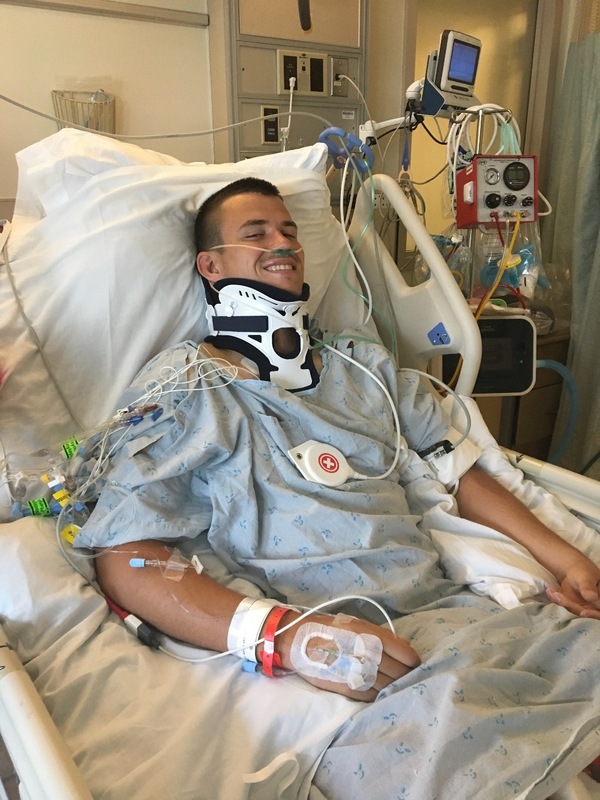 During the Collegiate National Championship Rugby Match on May 6 , Robert suffered a sports injury that has left him paralyzed below the chest. He had surgery that evening for his best chance of regaining movement of his arms and hands. Robert is a strong young man with incredible faith, a wonderful family and friends to help him recover. 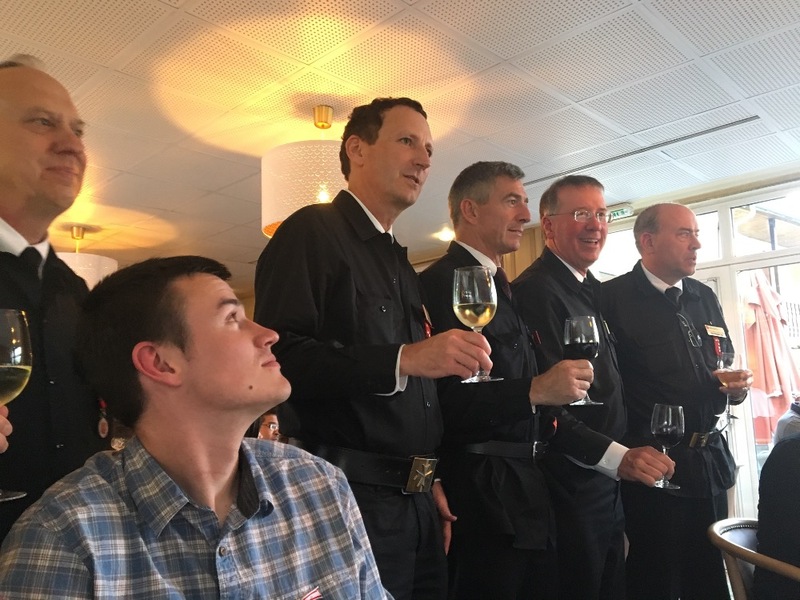 According to the Dana and Christopher Reeve Foundation, the average expense for the first year with high tetraplegia can be about 1 million dollars and with low tetraplegia, about $769,000. This was stated in 2016, and we know how much medical expenses went up last year. So many of you have reached out asking how you can help this wonderful young man, outside of your prayers. Robert's road ahead is long, and very expensive. Supporting Robert with whatever you can give and help relieve the financial burden would be greatly appreciated. With financial assistance, Robert and his family can focus on his rehab and getting healthy and strong. If you have any questions on making a donation, please don't hesitate to contact the email on the right. 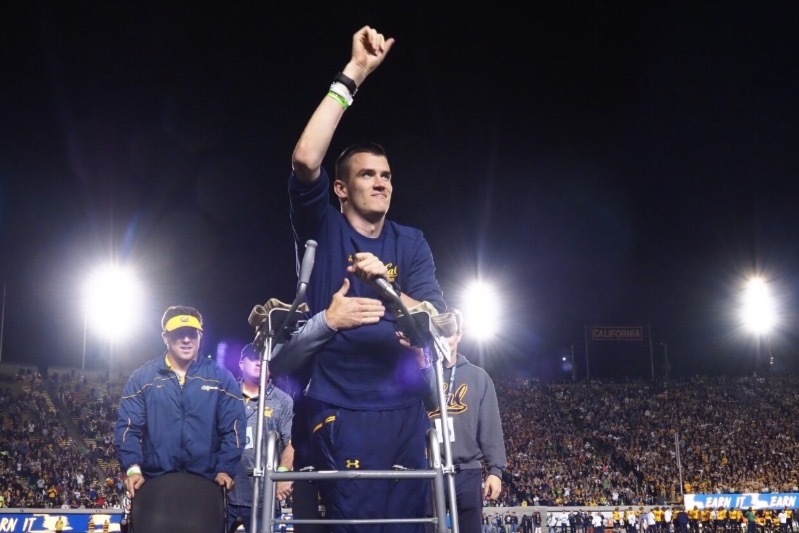 "Last night Robert was recognized at California Memorial Stadium in front of a packed house for a chance to not only wave to the crowd in appreciation for all the support he’s received, but also to use a walker to take steps from the field to the side line. This was made possible from unconditional love and support from Cal Varsity Rugby. Coach Clark and Coach Billups have never let go of Robert and we are eternally grateful. In fact, Coach Billups continues to work with Robert regularly and as you can see in the video always has his back. 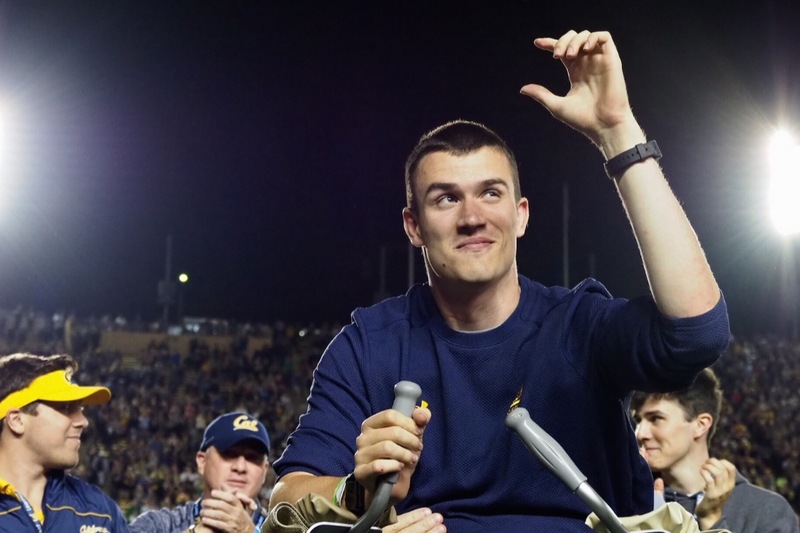 A special thanks to Coach Wilcox and the Athletic Department for helping make this moment happen and all the fans that stood to acknowledge Robert’s determination to walk on campus again. 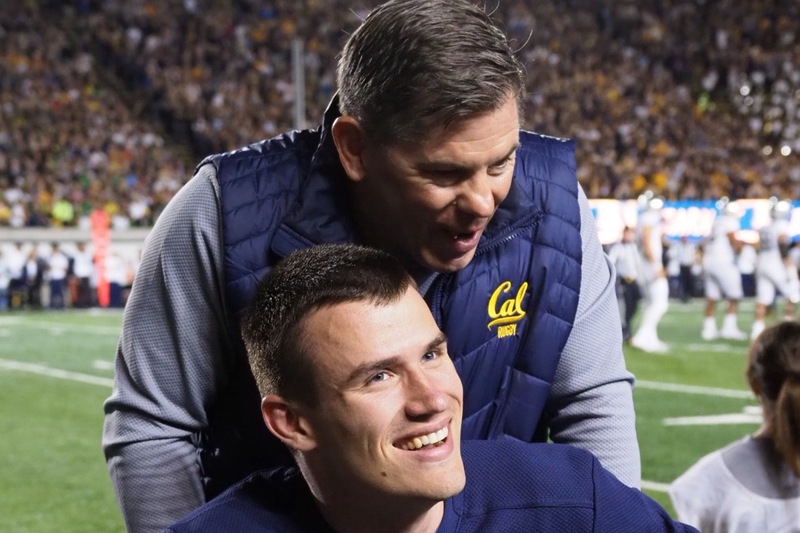 A few glimpses from an incredible night at Cal last night as Robert was welcomed back! Stay tuned for an update from the Paylor's. On the anniversary of Robert's injury, and one year since this page was created, I couldn't help but reflect on the past year and how truly amazing it has been to watch Robert's will, grit and determination as he makes gains everyday to walk again. In addition, it has been a real miracle watching so many people far and wide, friends, family, rugby community and strangers help out Robert. As he inspires us, the warmth, love and support he has received from you, inspires him. While Robert's journey the past year seems long, his journey is just beginning. 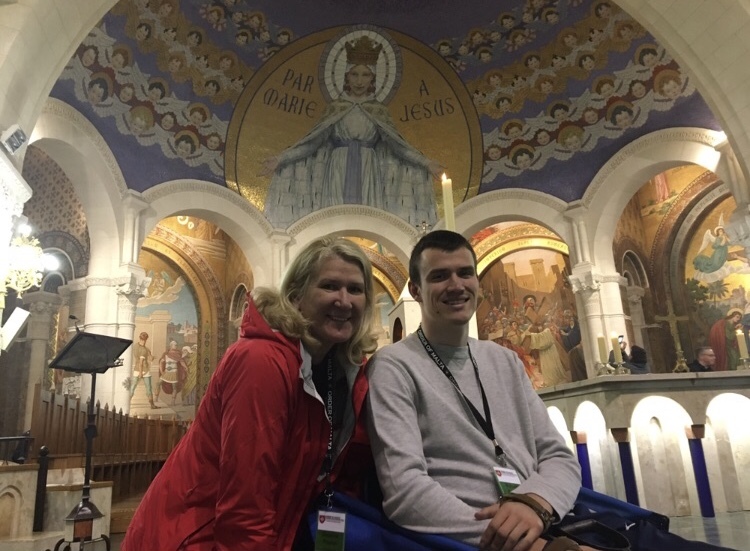 Home from Craig Hospital after almost a year, he's currently on a religious pilgrimage in Lourdes, France and soon to be returning to Cal Berkeley and attending the Haas School of Business in the fall. 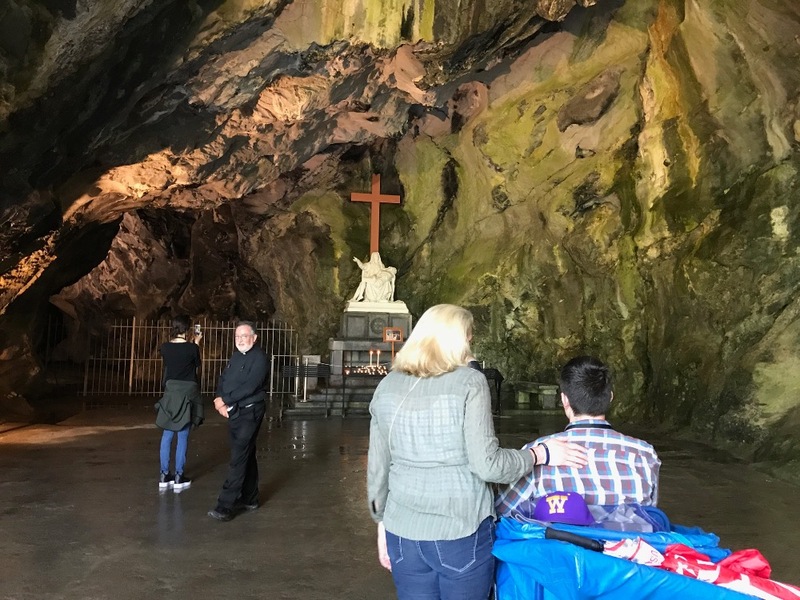 All of this and the bright future ahead could not have happened without all of you and your support, which enabled him to get the best care possible and have the necessary support needed to be where he is today. In a time when we are inundated with hatred, violence and social media that is harmful, you have shown that human kindness, helping out strangers, doing the right thing, still exists. Your support, love and prayers has helped Robert out so much and has given him an opportunity for a wonderful life ahead. Thank you so much and please continue to support and pray for Robert! Hi Robert and Paylor family. My name is Danielle Custer from Cincinnati, Ohio and my little brother is a 19 year old D1 college basketball player who was in an accident and was paralyzed from the neck down last month. This devastating news changed our families life and we are just beginning our journey. One thing besides our faith that we turned to was information about a stem cell study that has had great results run by one of the best spinal surgeons in the world. There is no guarantee but we are hoping this might help him get more movement in his upper body and could be something to look into for Robert. The thousands of people who have been supporting Ryan through this tragedy keeps reminding us that he is a 19 year old tough athlete which will be helpful for recovery. I can see that as well for Robert! If you would like to reach out about information for next steps, we definitely have become experts in information this past month and wouldn't have gotten anywhere without help from other people in our situation. Ryan is currently at Rush University in chicago but will be moved shortly to begin rehab at RIC in Chicago. RIC, Shepard in Atlanta, and Craig in Denver are the top three spinal rehab facilities in the country that would be helpful to look into. 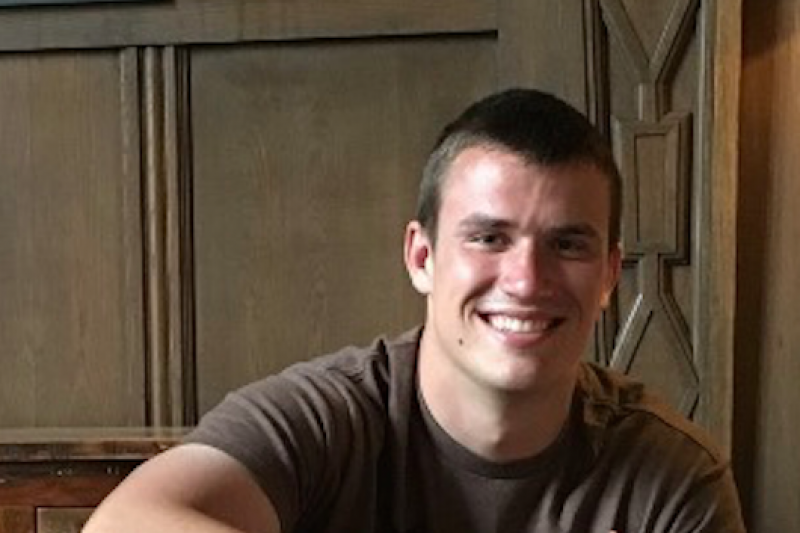 If you want to read more about Ryan's recovery and ideas for Robert's recovery, he has a Facebook page called Ryan Custer's Recovery Care Page. You can contact us through there if you would like. We will keep your family in our prayers! It's an honor to call myself your teammate Rob. You are the man, love you brotha. My son plays rugby for Baltimore Chesapeake and had a significant injury three years ago. Nothing like what you are going through but I just want you to know you are loved and supported even by total strangers. Rugby is family, near and far. You have your family and your mates behind you all the way. Stay strong. I'll be praying for your full recovery!! Look at all the friends you have! Wow! I was shot in the head in Vietnam and played my first rugby game eleven years later. It was great! Played for fourteen years. I recovered so can you. Hi, Robert. My name is Don Brophy and my heart breaks every time I think of you and your injury. It smiles when I think or your tenacity, inner strength, and faith. Our grandson is your teammate. He is Anthony Salaber and I think it possible he could have been you in this tragic accident. I asked my Rotary Club (Auburn, CA) to donate to your fund and they announced today that they approved the request for $1,000. My wife and I are on our way to the bank to add to that amount. We feel for your parents, family, and friends as well. We will "be by your side" all the way. We send our love and hopes for your future. Robert, you are in my thoughts and prayers constantly throughout the day. Your spirit, faith and perseverance show the kind of man you are. Chase has always said you are the best of the best! Check out the story of bull rider Bonner Bolton, he was given a 1% chance to walk again after a head injury and he is now dancing! (On Dancing with the Stars) Not sure about your dance moves, but, I know you will be walking tall soon! We love you!!!! Keep your faith and keep smiling that amazing smile! Hey Robert it's Mrs. Rasmussen from Jesuit. We are sending so much love and prayers your way. Many people here let alone outside of Jesuit are rallying for you. Keep your spirits up and know that you are a fighter. Lots of love to you. Hey Robert...Mrs. MacDowell here. I can finally tell you that you (and your brother) were some of my favorite students at SJNDS (I couldn't tell you when you went there...no favorites allowed, hehe) God has a plan for you, even if we're wondering why this? Keep your faith and courage alive and keep up the fight! I am praying for you and your family every single day. Sending you hugs and prayers for continued strength and healing. Hi Robert and family, my mother was paralyzed from cycling and went through Project Walk. It has made a huge difference for many people with spinal cord injuries. We stand beside you in prayer! My son is a rugby player (just had surgery from it) and love how big and amazing the rugby family is. Many hugs for you all!!! Dearest Jennifer, Thank you so much for sending all of us these videos of Robert's progress. You really have been a wonderful support for him and his family. I thank God there are people in this world who care as you , Robert's family and this support group do. Robert's determination is so evident in these videos. He will make it with God's help and all of our prayers. We are all here and ready to help. Our hearts and prayers are with you. Nick, Anthony, and family.